Apricot mallows in bloom among the volcanic outcroppings at Alabama Hills. 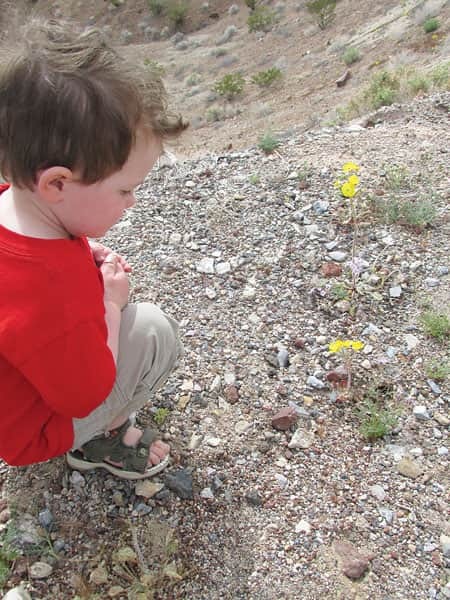 Three-year-old Anikin Allen gets up close with the wildflowers at Death Valley National Park, which is experiencing a Super Bloom due to early season rain. The flower blooms are moving into higher elevation areas of the parks now at 2,000 to 3,500 feet. 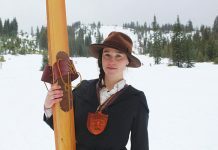 Check out the weekly Wildflower Update at nps.gov/deva. 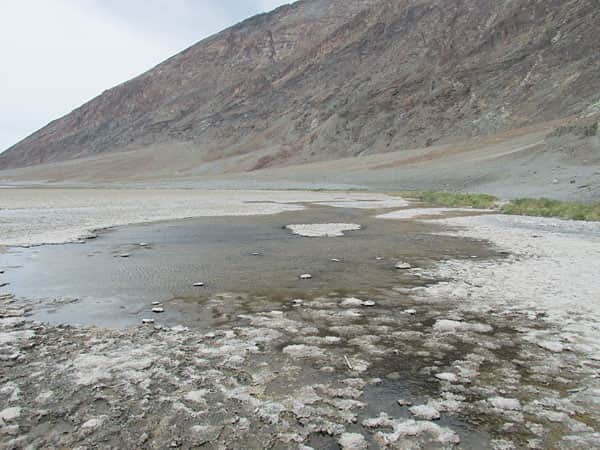 The last of spring’s rain at Badwater, which drains from distant peaks in Death Valley that rush to the salt flats carrying minerals with it. As the water evaporates, minerals concentrate until only the salts remain. 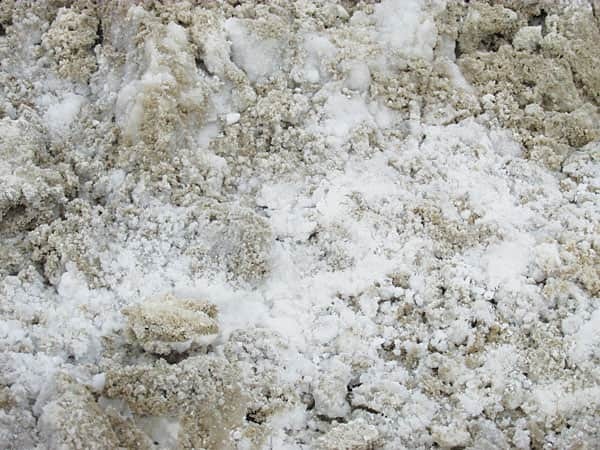 After thousands of years, enough salts have washed in to produce layer upon layer of salt crust. 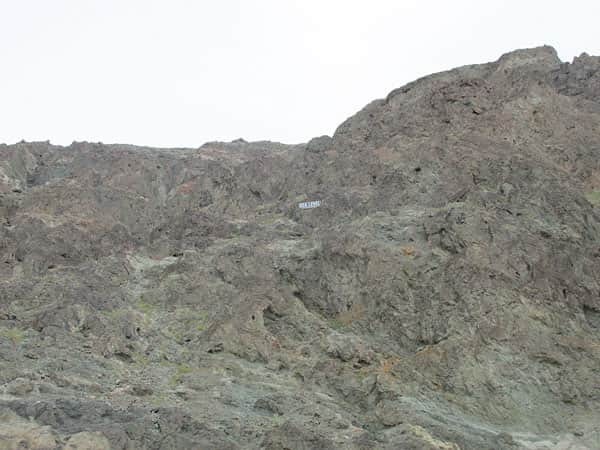 Look up on the mountain behind Badwater for the “Sea Level” sign. Badwater is located at -282.2 feet. Badwater is the lowest point of elevation in North America at -282.2 feet. 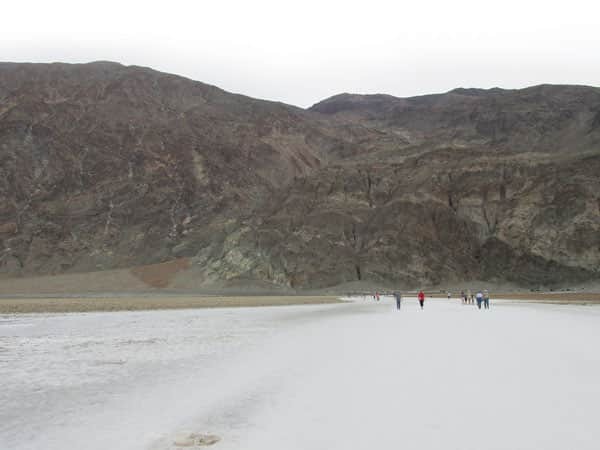 It’s an easy half-mile hike at Badwater to the edge of the Salt Flats, which stretch for 5 miles across the valley. 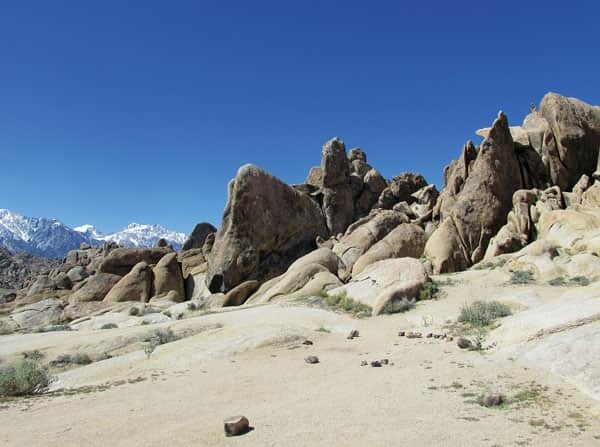 The 30,000-acre Alabama Hills is easily accessible outside Lone Pine set against the backdrop of Mount Whitney. 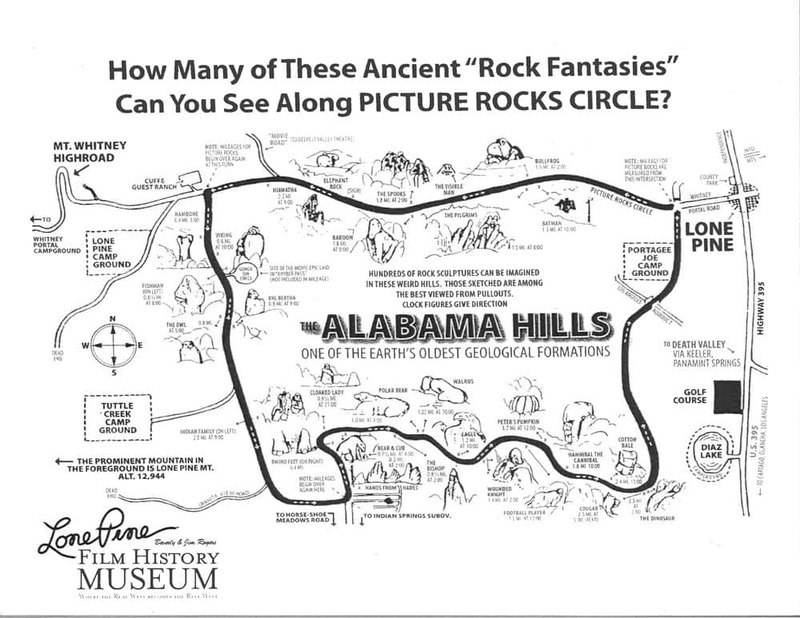 The hills are a wonderland of oddly shaped boulders that look like great castle walls and have been the setting for many commercials and movies. 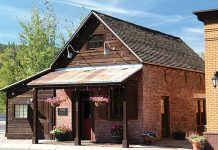 Explore some of the dirt roads on “Movie Road” and you’ll feel like you’re in an old Western where “Long Ranger,” “Rawhide” and many others were filmed. There’s a short driving tour to explore among the granite formations in Alabama Hills that resemble everything from polar bears to an eagle and a bullfrog. 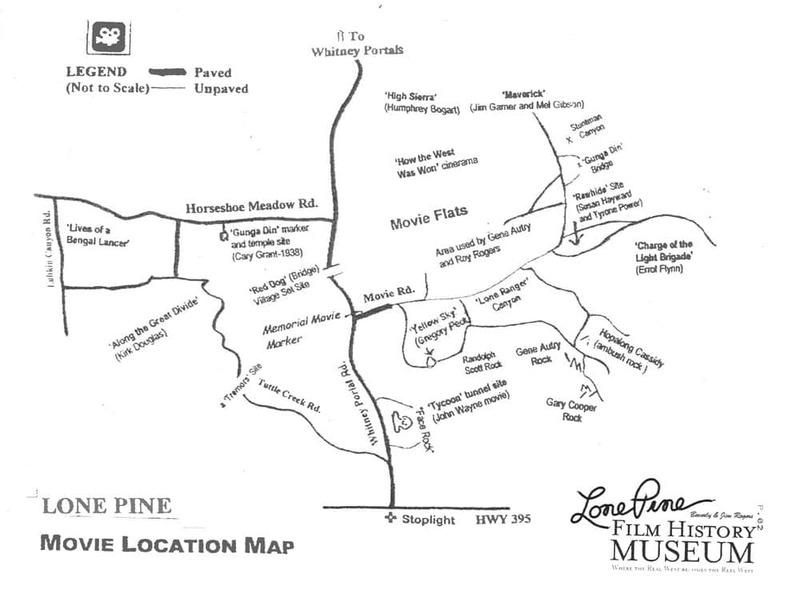 Pick up a map at the Lone Pine Film History Museum to explore the rock formations or visit TheTahoeWeekly.com. From left, Stacie Suter with Anikin and Michelle Allen explore the trail at Natural Bridge. 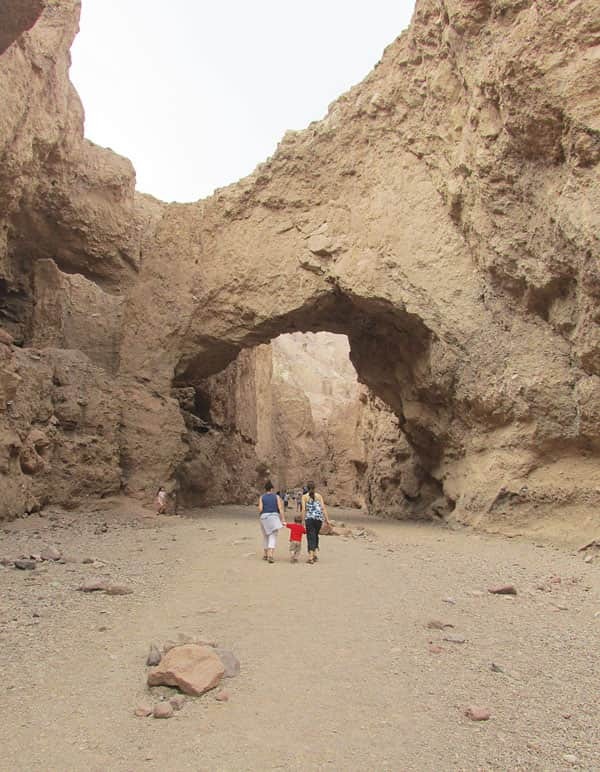 The easy walk is great for families, with the Natural Bridge only a half mile from the trailhead. 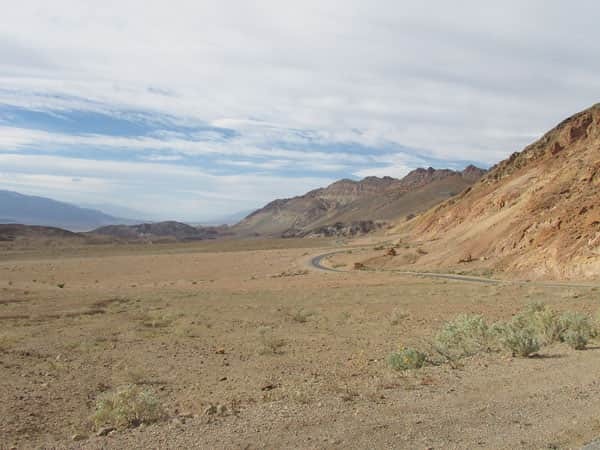 Pastel shades of green, yellow, pink, blue and orange color the mountains along Artist’s Drive, a 9-mile scenic drive in Death Valley National Park. Salt crystals in Badwater Salt Flats are always growing as rainwater brings minerals down from the mountains. 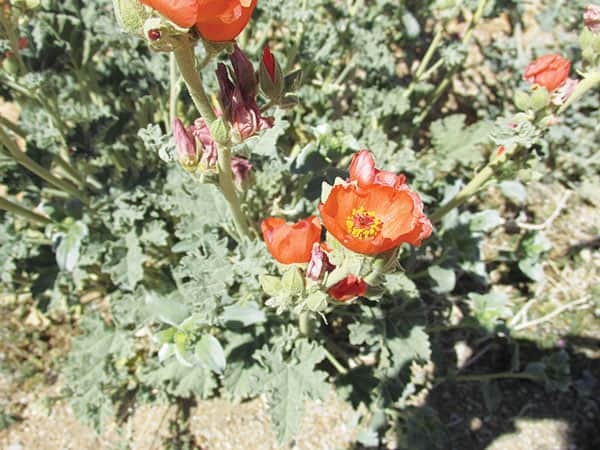 The salt flats are too harsh for most plants and animals to survive, yet are quite fragile. 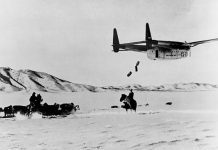 Delicate crystals are easily crushed and the relatively thin upper crust of salt can break through to the mud layer below. Mineral hot springs are scattered throughout the Eastern Sierra, with a concentration near Mammoth. Down Benton Crossing Road off Highway 395 are several hot springs including off Whitemore Tubs Road with the Sierra as a backdrop. These hot springs in a natural stone tub are a family friendly temperature that everyone can enjoy including 3-year-old Anikin with mom, Michelle Allen. Continue down Benton Crossing Road to the third cattle grate from 395, and take the dirt road on the right at the third grate to explore hot springs that are hotter in temperature.